Lightbridge Communications Corporation (LCC), Dubai has been involved in the design and optimization of networks utilizing virtually every major transport technology ranging from traditional microwave and leased line to advanced technologies. Hutaib InfoTech Solutions suggested for FingerTec R2 as the bestselling terminal and was the ideal solution for LCC for a fresh solution to time the attendance of staffs in their newly established office compound. We at Hutaib InfoTech solutions successfully deployed the solution to LCC and were featured in FingerTech Monthly September 2018 Newsletter, please click here to read the case study. For more information on FingerTec Products, please contact us. Our experts will walk you through the Products and Solutions to keep you ahead of the curve. 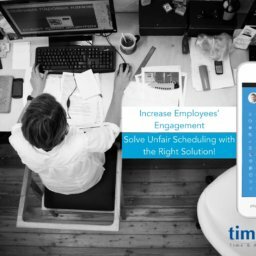 Increase Employee’s Engagement, Solve Unfair Scheduling with the Right Solution!